Boyd Chemiclean Liquid Red Cyano Bacteria Remover Treatment - 2 oz. Cynobacteria is usually encouraged with the presence of nitrate and ammonia, which are both fixed forms of nitrogen. Chemiclean helps clean and remove this problem algae through its own unique process. Most other red slime removers use purely antibiotics, namely erythromycin to take care of the algae. 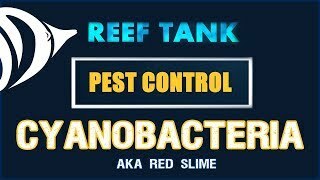 The use of such substances with in your aquarium can have disastrous effects upon your nitrifying bacteria and cause your tank to crash, killing the inhabitants of your aquarium. You must use an air stone when using Chemiclean. 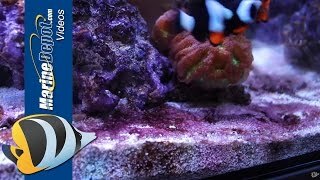 Place airstone in the aquarium prior to and during treatment. Treats up to 720 Gallons. Liquid version did not do much agains red cyano. I decided to give the liquid version a shot but found it to be weak compared to the powdered one. I have a Red Sea Reefer 350. One of my fish looked like it had ich so I over fed my tank trying to save it from dying. Cyano started tanking over. After using it, 4 days later there was no cyano left. I took out everything while it was in my tank except my protein skimmer. Didn't have luck with it. It didn't work after following directions. I didn't have much cyano, it was in spots but not a plague, but made no difference. No carbon or any other filtration when dosed besides mechanical. Maybe I have a resistant strain. I was having cyno in my tank. I syphoned twice, water change it was keep coming back. I used the chemiclean it didnt work right away in my tank abut around 36th hrs i see the difference and it removed 80% of cyno. I did the second treatment amd it has been 3 days i didnt notice anything. This product is amazing...I had cyano (red slime) everywhere!! Within 40 hrs its all gone, I still have about 3 hrs to go and ill be doing my water change but I highly recommend this!!!! Did NOT harm any fish or coral!!! This product is AMAZING!!!!! !